We all have spirit guides. Some of us have met them and some of us haven’t. 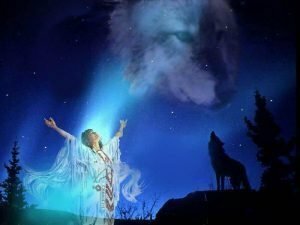 As this is Timberwolf HQ, this article is on the wolf as a spirit guide. The basic information was given to me by a long-time reader and friend of Timberwolf HQ. I wrote the article from his research. So sit back, relax and enjoy the information you are about to read. We have all wondered what the qualities are of our spirit guides. There are many sites on the Internet which will give various information and interpretations. My reader has provided the following information about Brother wolf. WOLF: Teacher, Pathfinder, Moon – hound within my soul. Wolves teach us many things including howling, singing and how to know and understand ourselves and others. 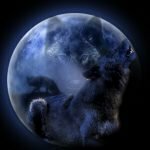 What is the wolf spirit? 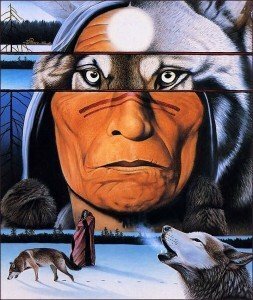 Who is the wolf spirit? What can the wolf spirit provide? Next Post → A “What the…” moment. Hi, I had a weird thing happen last night. I was sleeping and woke up to see a grey and white wolf’s head looking at me in the door way. It was translucent and fixated in my site just like when you take a picture and the flash won’t go away. It didn’t scare me, I was actually calm, calm enough to watch it until it finally disappeared and then go back to bed. A few hours later I woke up again and saw it again. Again I felt calm and waited for it to disappear which took a few more minutes. I was trying to find information of what this could mean and that’s when I found your website. ???? Also it’s eyes were glowing. I don’t meditate and never thought much about this kind of stuff until it just happened to me. 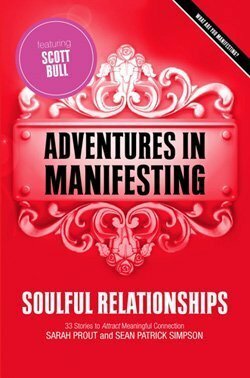 I have always have been very intuitive and have known things are going to happen before they do but have never looked into it because to be honest it scares me. This experience should not scare you. It is always an amazing experience to be visited by an animal spirit. Thank you for sharing your experience with my readers and I. Please come back to discuss this further with the community here. We all experience the awakening of our soul in different ways. That you have been told that you share a soul with that of a wolf is amazing. Hi I was wondering if I could get my two wolves spirits back. Because I miss them so much. One of them is my wolf guardian mate. The other one is my main wolf spirit. The one she possessed me. Sigh. But they are in training with my family member at the time. Because I have demon feeling shield blocker. Sigh I don’t know what to do now. Thank you for visiting TimberwolfHQ. I have sent a response to you as requested via your email. Please come back to the website if you have any further questions. I go for spiritual healing and on my spiritual healing I always see a wolf next to me it’s amazing how beautiful he or she is. I’m always protected by a wolf; even my healer says she never seen anything like it. Maybe in my pasts life’s I was a wolf or took care of them. Thank you for visiting TimberwolfHQ. Wolf has a way of talking to each of us. I still find it amazing that my guide, Sheba, appeared to me in a coffee cup. Please keep my readers and I up to date on your experiences Joao. Hi, I have a picture of my daughter and husband in my bookcase. Every now and then it changes into a picture of a wolf. Sometimes right in front of my eyes. It’s get quite scary at times. First I thought it was the glare of the lights in my room at night. Can you shed or explain what’s happening. Thank you. Thank you for your question. I hope to be able to provide you with some insight. Wolf will present itself to members of its pack in many ways. 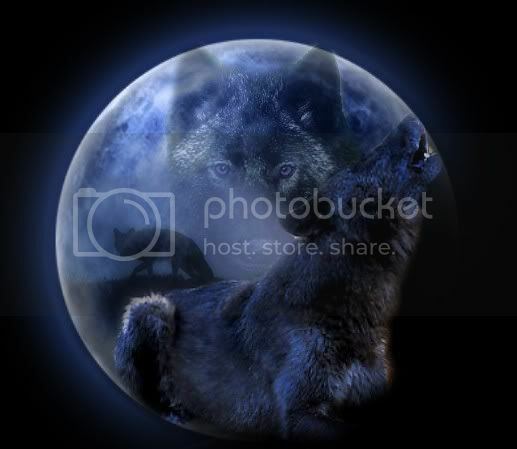 The picture showing you the alternate view may mean that Wolf; who is a protector first and foremost, then pathfinder and teacher, is trying to inform you that there may be a situation occurring where you will need to intervene to protect those you love. 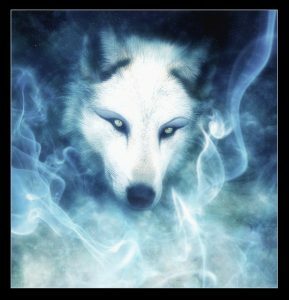 It may also indicate that Wolf is attempting to show you that your true path lies in teaching and guiding your husband and daughter for they are ‘New Souls’ in need of your knowledge to assist them in learning the lesson of this incarnation. The true meaning may lie someone in between. It is for you to take these suggestions and meditate on them. The one that feels right is generally the correct one. I hope this helps. Please come back and let my readers and I know how you progress. Hi, my name is DIPTEJ … I’m a WOLF … I am sure THE WOLF is MY SPIRIT ANIMAL … No dreams … but I see THEM everywhere since JANUARY … I see THEM on T-SHIRTS/IMAGES/NEWS/DOCUMENTARIES/PHOTOGRAPHS/FACEBOOK … I see THEM all the time … I know HE is trying to convey a message … and I am eagerly waiting to connect with HIM … I also started meditation recently … I feel blessed … What should I do next? It would certainly seem that Wolf has decided to present to you in your daily life. Meditation is a good way to achieve a calm state. Once you are calm and at peace Wolf may present to you again and your connection will strengthen, however this may not occur the first time you meditate. Patience is also part of Wolf nature. I would love to hear from you again as would my readers so please come back and let us know how you are going. hi i am curious,i was wondering if you could possibly help me under stand what my dreams mean. my first one is i dreamed that i turned into a wolf. the second one is i was inside my house and human at the time. then i felt like i had a had a hard choice to make. like being split in two. then with that feeling a timber wolf appeared out side. he was snarling while eyeing me. instead of feeling scared i walked forward and with that i was out side. i don’t know how but i was. when the wolf tried to attack me or my family,(i don’t no witch). i growled back not understanding i looked around trying to find the source of the growl. but then i moved,on all fours,then it occurred to me to look at my legs. when i looked, THEY WERE PAWS. PAWS. it might seem like i am lying about this dream but i am not. after i got over the shock in the dream, a black wolf stepped forward not snarling. i don’t think he wanted to hurt me he seemed to understand me what are your comments on this? We all have dreams where we experience amazing things. To dream of turning into a wolf could mean anyone of a number of things. However, I feel that Wolf was trying to let you know that it is ok to feel protective, that as a person with Wolf as a guide, this is one of your primary roles in life. Guide, teacher, protector – this is what Wolf is. I hope this helps you understand your dream. You might be in touch with one of your ancestors. You would need to stop next time you see her and in a calm way ask her what advice she is trying to bring to you. I feel that this may achieve some results that you are looking for. mine led me here, maby to get a better understanding, at first I thought that all this was just in my head, but then I came across this article. I think I understand now. When I’m by my self I feel like I’m not alone, I can feel my wolf beside me and every time it seems like that I can feel the nice cold snowy air like in a forest. Welcome to TimberwolfHQ. It is the most amazing feeling to experience the presence of your guides. Walk on the path with strength and determination Wolf Brother. I’m a alone. I just want to be possessed again with my wolf spirit. I Wanted to Thank you for your information on this site it is very informative and something I plan on re reading a number of times. I’ve always had an affinity to wolves and dogs, I always thought it was because of the dog I had growing up, when he died he was 18 years old and I was 17. for 7 days a dog kept coming over to me when I was outside but he stayed just out of arms reach. He would growl and prepare to run away if I tried to touch him but where ever I went he would follow. any window I would look out from even the 2nd floor windows he would be looking up at me until the 7th day, my mom was looking out the window with me and I pointed to the dog and said he has followed me around for 7 days mom said it was just our dog dusty telling me he was ok the dog nodded and walked away. Recently Oct 26 2015 I had a stroke at 40 years of age and am in the progress of recovering. I recently bought a wolf totem just cause I thought it looked cool and as a remembrance of that dog, I have also started wearing wolf printed tee shirts to honor them as well. One night a few weeks ago I was walking a lone at night with just my walking stick and I hear a wolfe growl in my left ear almost like a warning. I thought there was a dog or wolf or coyote nearby or perhaps a demon I looked around didn’t see anything. I didn’t have a clue hat the growl was but I had a heightened since of awareness and I was very alert that something wasn’t right up a head. I kept walking back home and when I walked around the corner a dog came out and came charging at me I yelled at it to back off and lifted my walking stick towards it but din’t want to hit it. the dog backed off a bit and I thought perhaps I should back off i started to back upand the dog came charging but when I stood my ground and started walking forward with a commanding but nervous “get out of hear dog” the dog ran. I have since learned that the wolf or dog bark I heard right in my ear so close was my spirit animal telling me to stand my ground. Which being very weak from the stroke I didn’t think I could. 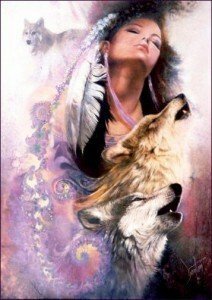 I’d like to know how can I thank my animal spirit and how can I find out if my animal spirit is truly a wolf and how do I find out its name and my spirit name. I have a friend who is part of a tribe I would do the name injustice if I put it hear for my lack of proper spelling, he told m that in time the animal spirit may make itself known to me in some way. Anythoughts suggestions? Please come back and let my readers and I know how you go with the exercise. Wolf is a protect, teacher and pathfinder. Wolf comes to those who are open to the knowledge that Wolf wants to impart. Learn from Wolf and strike out on your path with confidence. I have always felt connected to wolves and the moon for a long time. I’m not sure why, but wolves appear in my life when I feel that I need help. I remember I used to talk to the moon that I named ,Luna, and I always thought that I was communicating with something else but not really the moon. Is it possible that my Spirit Animal Guide’s name is, Luna? Woah, that was crazy! A while after I posted this I went onto another website and I found out what I was looking for and the passage was written by a girl named, Aletheia LUNA! I always say things happen for a reason and I guess that’s why I called the moon Luna. Thank you for returning and sharing this with us. Thank you for visiting TimberwolfHQ. Allow my to apologise for the delay in responding to you. As for your question – it is entirely possible that Luna is the name of your guide. Should you wish to meet her you could try the exercise located in this article: Discover Your Animal Totem. Come back and let my readers and I know what you have accomplished. I don’t know what to do. I’m afraid to let my inner wolf out. I have horrible visions and nightmares of a savage animal killing people and animals. I wake up tired and sometimes with dry blood and injuries on my body. I don’t know what the heck is happening to me!! I’m scared!! I can hear my inner wolf howling and growling in my head. It speaks to me yet I seem to understand what it wants. I’m too afraid to change!! My face is scarred with the claw marks of the wolves who cursed me. I’m forever cursed! Why did the wolves chose me?! Why?! I feel so much rage, anger, sadness, hunger, and desire. What is happening to me?! I feel that you are giving over too much power to your belief in a curse. Wolf is a friend, a pathfinder, teacher and protector. To have Wolf in your life is a good thing. What you are feeling is guided by the negative influences of other media and you are letting it have to much sway over your feelings. Meditate, attain a calm place and meet with Wolf to gain understanding. Greetings Timberwolf, I was visited by Wolf and taken to travel in the early 1960s as a young girl. I have gathered much in my life and remember their words in part. Today, I live with a wolf dog, and have a Shaman Medicine Woman practice. I hear, see, know The Field and hear The Ancestors, which is not so common and causes me to spend much of my time not with clients on my own. I had very interesting insights given. Thank you for visiting TimberwolfHQ. It is always nice to hear from a healer and medium. It would honour me greatly if you would come back and share some of your insights with my readers and I.
I’ve often wondered about an incident that happened to me. As my best friend and I were riding in the backseat of a vehicle on dark night, i looked over at him and saw the face of a wolf. He at the same time said he saw the reflection in my eyes of himself looking like a wolf. This was not a dream. What does this mean? Welcome to TimberwolfHQ. Thank you for the question. It would seem to me that your friend has Wolf as a guide and he wanted you to know this. Wolf will help and protect you both. Hello. My name is Maria. 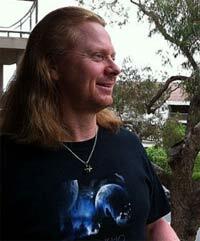 For a while I have a desire to learn about wolf spirit and how to contact him. I feel the need to help others. But I do not know how and that is why I need the wolf spirit to guide me. Can you tell me how can I can get in touch with the wolf spirit? There is a way? Welcome to TimberwolfHQ. Thank you for your question. Please read the article located here: Discover Your Animal Totem. This will give you an exercise to follow. 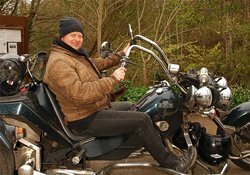 Come back and let my readers and I know how you are progressing.